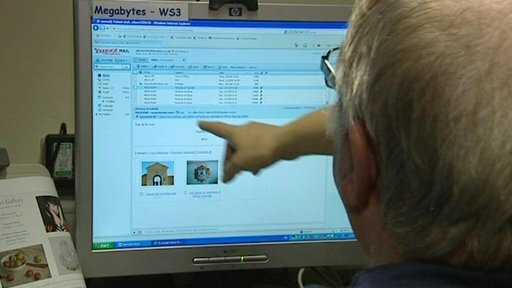 BBC NEWS | UK | Magazine | Who still uses internet cafes? Who still uses internet cafes? 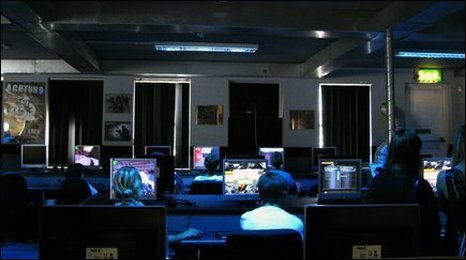 It's 15 years since the first internet cafe opened in the UK. Yet, while home and work access have proliferated, the internet cafe shows no sign of disappearing. Why are there still so many of them? When Cyberia, widely considered to be the first internet cafe in the UK, opened its doors in London on 1 September 1994, it offered access to what was then a novelty. The picture has changed a lot since then, with around 70% of households in the UK now having internet access, according to the Office of National Statistics. But you can still see internet cafes in every High Street in UK towns and cities. From local shops which offer web access, along with services like printing and money wiring, to cavernous underground spaces open 24 hours a day in which gamers gather to compete and share tips. This survival act has even surprised Eva Pascoe, the founder of Cyberia, who says she thought that the need for public access to the web would be temporary, and that by now "everyone would have a computer built into the watch or earring". So why is the internet cafe still going strong if people can now surf the web from the comfort of their own desks? While in UK cities the percentage with internet access has increased over the years, some areas still haven't reaped the benefits of the digital age. 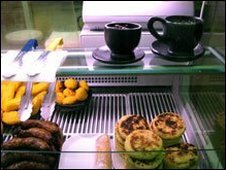 The Megabytes Cafe has been providing services since 1996 for the people at Aberfan, in Merthyr Vale. It started out as place where young people could go to do their homework or play games, but the grandparents of the children also wanted to learn more about computers. "As a result, the younger and the older generation were brought together, so in terms of community cohesion it has been an absolutely terrific project to undertake," says Jeff Edwards, founder of the cafe which is part of the Aberfan Merthyr Vale Youth and Community Project. The web cafe plays an essential role in a community in which only a third of the population owns a personal computer, he says. "Older people, for example, can get cheaper electricity by going to comparison sites. And the problem with fuel poverty is deep here." The internet cafe also runs online auction taster sessions in community centres where people can bring their unwanted items to sell. Albert Lloyd, 70, started visiting when he became a widower. Through the web he has found some of his old friends from when he was stationed as a soldier in Libya 40 years ago. 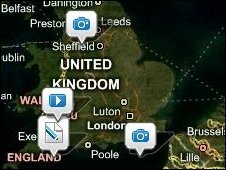 He also uses Google Earth, he says, "to retrace my steps. It just brings it all back." So what about London and the South East, where households have the highest proportion of internet access in the UK at 74%? Do people still feel the need to go elsewhere for their surfing needs? Jason Deane is the managing director of Quarks, a small internet cafe chain with premises in Guildford and Reading. His company did some research last year and found that two-thirds of their customers had internet access at home or at work. "People need a change of scene," Mr Deane says. "Also, some people are not good at maintaining their computers, because this is quite a job these days. Another element is that some companies have restricted the access to websites like Hotmail and Facebook at work. So we have rush hour at lunch time." Apart from practical needs, it seems like some people still go to the smallest web cafes because they want to feel part of a community, and surf and chat in a familiar atmosphere. The Videoclip internet cafe is a new addition to Distriandina, a Colombian coffee shop in the Elephant and Castle station arches in South London. Tucked between Colombian food products, soap opera DVDs and a dance hall which usually holds salsa evenings and political gatherings, the venue is popular with Colombian expats who come to talk to their families back home. "I can open the internet at home and at work, but I like it here because I can see my friends, they speak my language, I can play 'sapo' [a traditional Colombian game] and then buy some Colombian food before going home," says Carlos Guzman, a customer who visits the cafe on the weekend to talk to his family through the camera. Cyberia itself is no longer - Ms Pascoe sold up to a South Korean company, which transformed it into a gamers' haven. Now all that remains is a vacant shop. So does the internet cafe still play a role as a social space? Ms Pascoe says her idea of Cyberia was based on the coffee shops in eastern Europe. "I'm Polish and we have coffee shops everywhere, and I don't see them going away. We all have coffee at home but still go to coffee shops because they fulfil a social function. We just added internet to a concept that is hundreds of years old." The most successful internet cafes are those which have gone back to the original format of a "public access space, plus IT support centre, plus a social space", she says. This concept can be seen at Netstream, a 24/7 internet cafe in Soho in central London. A giant silicon chip decorates the main wall along with magazine cuttings from the 1930s. Customers can get technical support for their laptops and can also have their lunch delivered. "We always play chill-out music and jazz, and try to give people a bit of a relaxing atmosphere, a place where they don't get disturbed and can work," says manager Alex Karev. Different groups come at different times, says Mr Karev. "During the day it's mostly business people who come to work on the computers and need something right here, right now. Once the normal working hours are gone, you get the gamers. Some of them are married or have families, so they come here to relax and play games for a couple of hours, and make friends with other people playing games." Ali, a gamer, says he makes friends playing community games. "Sometimes you just can start speaking to people just because they're sitting so close next to you, you can't help but speak to each other." And it might be that, 15 years later, the internet cafe is still a space where we can combine the act of solitary surfing with the physical proximity of other humans.